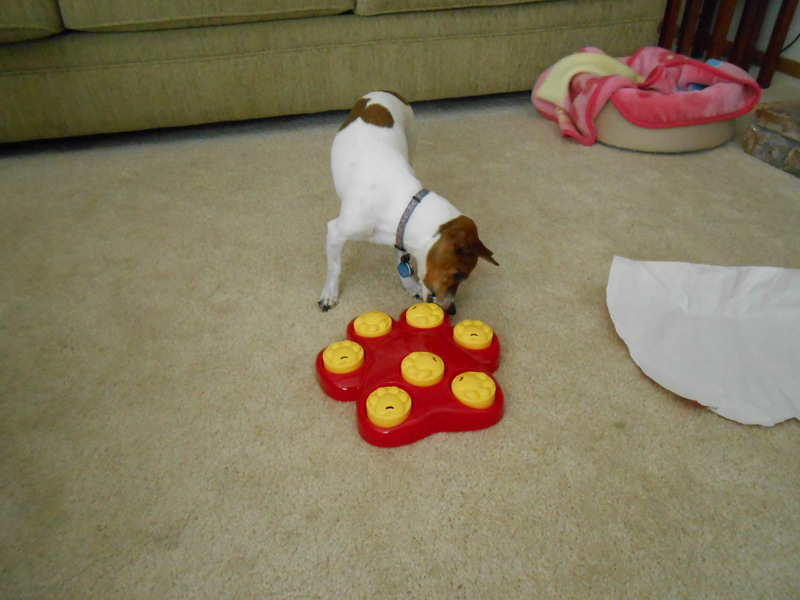 I finally have a chance to show you all what Misha got for Christmas. We’ve both been too pooped to do much. Misha has spent most of her time sleeping since Thursday. I could have done the same. Misha got to open her presents Christmas Eve. She was so wound up that we needed something to tire her out. 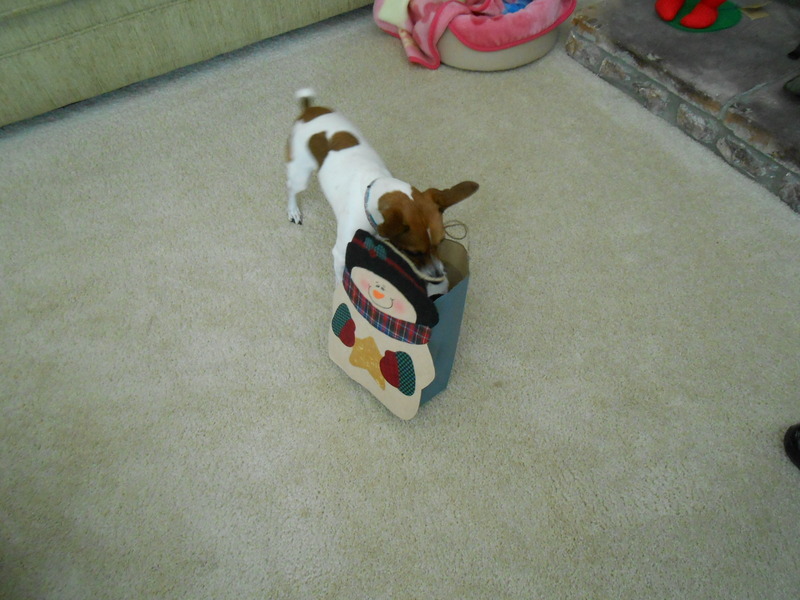 Here is Misha trying to figure out how to get her present out of the bag. She’s starting to get the idea. But, darn it! The bag kept following her every time she pulled on what was inside. She finally got it out of the bag. What is it? 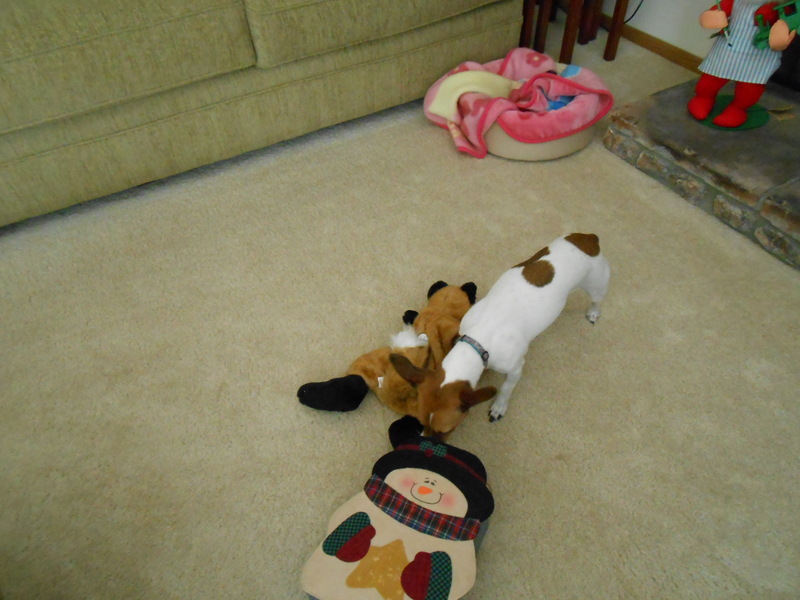 “That was the fox!” (If you’re not a Looney Tunes fan, that probably went over your head…LOL) Yep, she got a fox and it’s bigger than she is. And, like any typical kid, she kept checking the gift bag to make sure she didn’t miss anything. I think Santa was pretty good to Misha.